Product information "Zomo VS-Box 200"
The Zomo VS-Box 200 is a practical way to store your vinyl in a stylisch and efficient way. 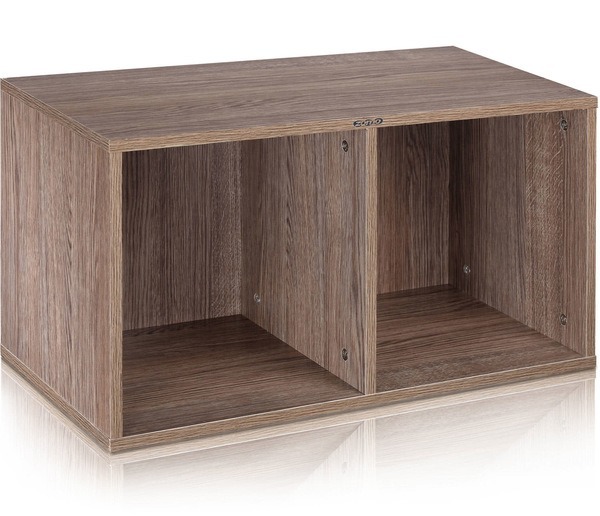 The Zomo VS-Box 200 is made of solid wood and laminated with tough water-repellent dekor. This model is easy to install, multiple stockable and can be combinated with other VS-Boxes. The Box is also compatible to vinyls in protection covers. The capacity can variate by the thickness of your vinyl. Customer ratings for "Zomo VS-Box 200"
Nachdem mir so langsam der Platz für Vinyl knapp geworden ist habe ich mir zweimal die Zomo Box gekauft und kann sie nur weiterempfehlen. Viel Platz für neue Platten, einfacher Aufbau und perfekt stappel- und somit erweiterbar ? Tolles Preis-Leistungsvehältnis, Lieferung und Kontakt bestens! Wer schon mal Möbel aufgebaut hat, findet sich zurecht. Qualität, optik usw. ist ok, der preis angemessen. This is a great product which I have used to store many of my 12 inch Vinyl and LPs. It is a lovely design and easy to assemble.The help I received from your very friendly staff was really appreciated,so many thanks and I hope to order from you again soon!